Thousands of children get injured on trampolines each year. Are they worth the risk? Many families looking for a fun, outdoor activity for their children end up buying a trampoline. They are cheaper than a pool and can be tossed aside when the kids grow up. Besides, the countless flips, stunts, and jumps provide hours of entertainment for kids. Making it particularly great is that your kids aren’t staring at screens while jumping! You may think that the fun factor overrides the risk for danger. Or maybe you’re unaware of the dangers that come with trampolines. The home videos you see on television of trampoline fails that end in laughter could easily end in tragedy. Before purchasing a trampoline for your kids this summer or taking a trip to the trampoline park, you may want to keep reading. Trampolines don’t always provide the innocent fun you think they do. Kids and adults who love trampolines claim they provide many benefits. Besides giving kids hours of fun and exercise, gymnasts and tumblers can hone their flip and walkover skills without the risks of landing on a hard surface. 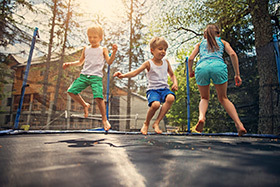 Instead of sitting watching television or playing video games, trampolines provide a way for kids to be active outdoors and to burn off extra energy. Trampolines can also be an effective way for adults to get their recommended amount of exercise. Anyone who’s jumped on a trampoline for a few minutes knows it gets your heart rate elevated in no time. Many gyms offer trampoline classes using individual-size trampolines. 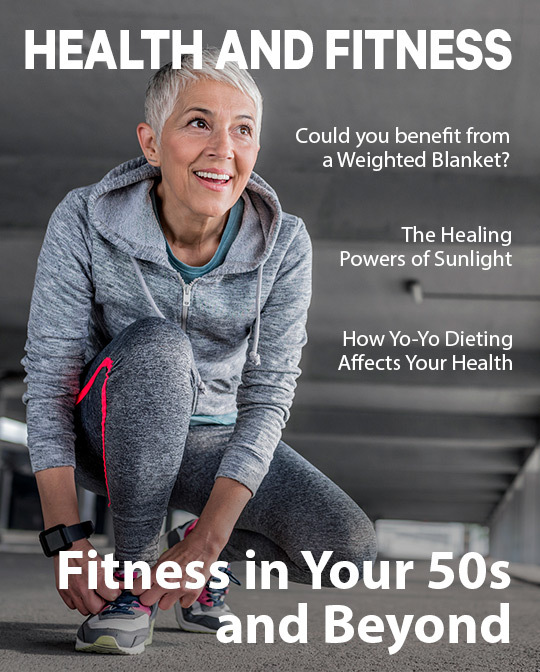 Easier on your joints than running, a150-pound person can burn 42 calories in a meager 10 minutes or 126 calories in half an hour with a trampoline workout. The fun of jumping and flipping can quickly come to an end with an injury. Each year, tens of thousands of kids end up in the emergency room for trampoline-related injuries. Mild injuries include bruises, bumps, sprains, strains, and factures, but damage can be much more severe. Head and neck injuries, brain damage, paralysis, or even death are possible. While you can get injured on a trampoline by yourself, two out of three trampoline injuries result from colliding into someone else. When more than one person is jumping on the trampoline, it’s hard to control how high you jump and where you land. Other injuries are caused by landing the wrong way, falling onto the frame or springs along the edge, or falling off the trampoline. The most dangerous type of injury occurs when someone falls off of the trampoline. This is why net enclosures are so important. Smaller children are at a much greater risk for any and all trampoline injury. Only one person is allowed on the trampoline at a time. Do not attempt somersaults or flips, as head and neck injuries are possible. No children younger than age 6 are allowed on the trampoline. Make sure the trampoline has padding covering the springs and frame. Kids should always have adult supervision while jumping on the trampoline. The trampoline should be installed on level ground, a safe distance from trees, buildings, or other structures. If possible, the trampoline should be placed in a hole in the ground so it’s at ground level. Keep ladders or step stools away from the trampoline so small children can’t climb onto the trampoline on their own. Install the net enclosures and regularly check for tears or holes. Follow these rules and you can hop around most trampoline dangers and have jumping fun time! One out of every 200 trampoline-related injuries results in permanent neurological damage. Is the fun worth the risk?